If we’re completely honest, our motivations for following Christ and being obedient to His way can’t all come from completely selfless motives. But an interesting question is were they really meant to? The awe for God’s holiness and our thankfulness for what He’s done are each powerful motivators for never-ending obedience, but they just don’t seem to keep us from veering off God’s path as effectively as I wish they would. Even the not-so-selfless motive of fear for what might happen if we don’t obey doesn’t work all that well because being sinful means we’re wired to overcome fear and take risks. We’re wired to want and pursue happiness for ourselves over anything else. According to Genesis 3, it was the desire to become better through our own efforts that contributed to the first bite of that forbidden fruit. And in the time since, the world has kept us convinced that our own ways deliver a better life than God’s way. His ways are often characterized as dull, frustrating, and old-fashioned by our self-centered culture. So we find ourselves often disregarding God’s way to follow our own. The strangest thing about it, I think, is we disregard God despite full acknowledgment by many that He exists, is perfectly holy, and has done more for us than we could ever do for ourselves. I’m not saying this is the way it was originally intended to be, but there is an unavoidable element of personal favor tied into our submission– on top of that sense of awe, thankfulness and fear for who God is. We want our faith and worship for Him to bring us individual purpose and personal happiness. There are, of course, times of pain and mourning when we’re comforted by God’s enormity and power. Those are incredibly intimate moments. But again, it’s our own comfort we inevitably seek. There is that selfishness built in, which leads us to worship and obey/believe at least partly because we want to be well-cared for. We want to be and feel loved. Wanting God to bless us as a reward for following His way is not what I’m getting at. That’s essentially the prosperity gospel, which looks at obedience as a cause-and-effect scenario: because we obey, God gives us a treat. Jesus did regularly refer to some kind of heavenly reward for each of us according to what we do, but receiving such rewards in heaven seemed to include being treated as last in this world . That’s honestly a completely different topic for another article. What I’m suggesting, rather, is this: God’s blessings on Earth are delivered not because of our obedience, but through our obedience. What if an obedient life is the path He asks us to follow simply because He designed that path to lead directly to the blessings He knows we’re searching everywhere for, and wants to give us? What if He created us to specifically desire those good things so that we would end up on the path He promised would provide them? If obedience to Him didn’t lead to an eternally-minded joyfulness, then wouldn’t our worship be laced with our resentment and hateful fear rather than the love He desires? I think we all agree that heaven is the ideal place to be. We’re told it’s a place of paradise where there is no more mourning, crying, pain, or death. And apparently there’s added rewards! That sounds amazing, and I would venture to guess we all hope to be there eventually. But have we forgotten the main characteristic of heaven? Heaven is where things are God’s way all the time. Earth, meanwhile, is where we tend to do things our way. And just look what we have to show for it. When the enormity of God fails to convince us and strike the necessary fear within us to be obedient, I’d like to suggest a fallback motive: God’s way is actually the best, fullest, and most dependable way to live. His rules make things right and good, even in a fallen and broken world where pain is unavoidable. His way leads to levels of security, love, and joy within our souls that open the floodgates for unending, ecstatic worship. And the byproduct of this obedient life are the very things we’ve been seeking after in every other place under the sun. As an example, I think this fallback motive applies most directly to relationships. If God’s way is the best way, then we can trust that a God-centered romantic relationship characterized by patience, purity, and selflessness actually isn’t the cruel hazing ritual our immediate-gratification-culture marks it up to be. Somehow, our society has come to view patience and self-control as things you can have without work and practice. We’re taught it’s not worth waiting for marriage before living and sleeping together, or worse, that it’s a benefit to do so. For a long time, I was among the crowd arguing that living and sleeping together before marriage was logical and helpful. Somehow God changed my heart about that soon after He drew me in to follow Him, and that was even before I saw the research revealing how flawed my “logic” was. Turns out, God’s way is more reliable than our fleeting own emotions. Go figure. In the same way, if God’s way is really the best way, then there must really be some kind of beneficial, restorative power in forgiveness. It means lifting someone up and speaking positively about them will actually lead to more fulfillment than talking badly behind their backs, putting them down, or dwelling on their faults. 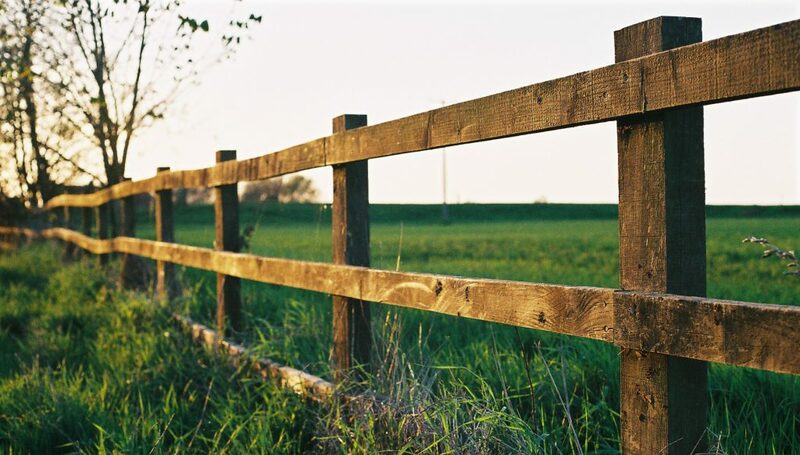 What if God’s way wasn’t seen as a fence built to keep us out of the best parts of life, but rather to keep us in them? Truly believing this could be the extra motivation we need to live closer to the happiness, joy, and obedience God intended for us all along. Well communicated, Kyle. You explained what can be a complicated and easily misunderstood principle very clearly! Great read!